Can chickens get bed bugs? If you're like me, you took one look at the question above and said a resounding "No!" People can't get chicken lice and chickens can't get people bugs, right? Then I did some sleuthing around and found out that chickens can in fact get bed bugs. That was unexpected! We know chickens can get mites, lice and even fleas and ticks...but bed bugs? It just didn't sound right. Unfortunately it's true. In fact, bed bugs are a huge problem in commercial poultry farms. As chicken keepers we understand that from predators to parasites, everything likes chicken! The best thing we can do for our chickens is to arm ourselves with the knowledge on how to deal with these issues. When I found out that chicken coops can be swarming with bed bugs, I needed to know exactly what I could do if this ever happened at my farm. Let's start with what bed bugs actually are: A type of insect that feeds on blood, usually at night. The most common type of bed bug is Cimex lectularius. What you will find in doing research on bed bugs is that these types of statements are often repeated: "they tend to feed exclusively on humans" & "their primary hosts are human". What they don't tell you is that the Cimex is an adaptable insect that can and will use almost all mammals and birds as a food source. Bed bugs spread quite easily. Just like a person might unknowingly bring them home from an infected hotel or dorm room, they can be spread between chicken coops also. Bed bugs can be brought into the coop when bringing boxes, bags, bedding, wood, straw/hay or other materials from an infected coop. They can also be brought to the coop in bags, boxes or on clothing from inside houses that are infected. If your house has an infestation of bed bugs there is a chance your coop does too. Does your chicken coop have bed bugs? Bed bugs feed on the blood of chickens but hide during the daylight hours so you often won't see them at all. Bed bugs have lots of places to hide in chicken coops and commercial poultry housing. Like poultry mites, bed bugs hide in cracks and crevices of the chickens coop. Between boards, under feeders, in curtain folds and inside nest boxes are all good hiding places for bed bugs. Similar to stink bugs, bed bugs give off a strong odor when smashed which may be an indication that there are bed bugs in the chicken coop. 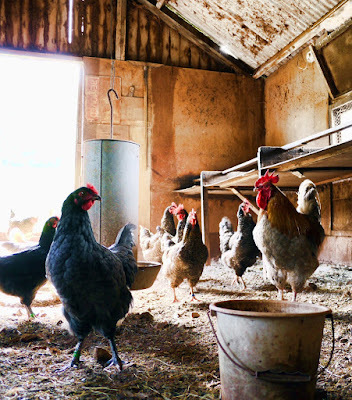 Once you've found bed bugs in the chicken coop you'll want to treat the coop immediately. 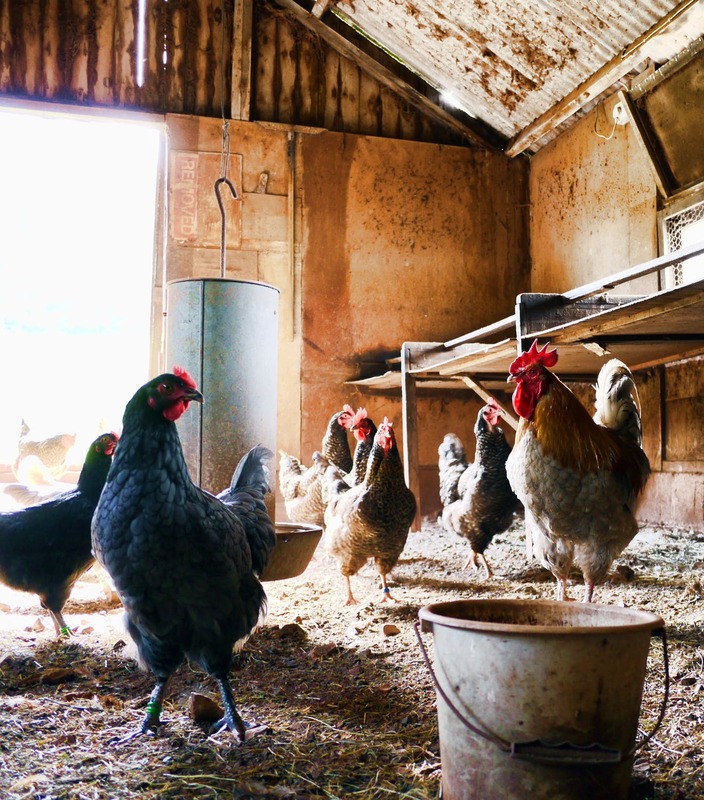 The chickens do not need treated since the parasites are only on them long enough to feed at night, before scurrying back to their hiding spaces. If you're familiar with the recent resurgence in bed bug infestations then you've probably heard that many of the insecticides that used to work are no longer as effective. Permethrin is the current insecticide of choice when battling bed bugs in your chicken coop. Permethrin has a low toxicity for birds and is approved for use in poultry housing. However, it doesn't work 100% of the time. Unfortunately most stronger treatments can not be used around chickens. Which means you'll probably have to do the permethrin treatment a few times to get the situation under control. Your first course of action is to remove the chickens from the coop, clean it out and spray inside with a permethrin solution. Make a special effort to get the solution into all cracks and crevices, in between boards, underneath roosts and nest boxes and generally anywhere a bed bug could hide. Follow the directions on the label for the appropriate timing to return the chickens to the coop. You'll need to treat the coop again in 2 weeks to target freshly hatched nymphs. Adult bed bugs can live for 5 months (or longer at cool temperatures) without a meal, so leaving the coop empty for awhile will not be enough to kill them. Unfortunately adult bed bugs will not be affected much by diatomaceous earth. Bed bugs have a high desiccation tolerance, which means they can endure the extreme dehydration that food grade DE inflicts on insects to kill them. DE has a low success rate against adult bed bugs in arid conditions and is even less useful in humid conditions. DE can help to kill bed bug eggs and nymphs though. If you decide to use food grade diatomaceous earth, use a duster to get it into the cracks and crevices of the coop where bed bugs might hide and lay eggs. It will take 7-14 days for DE to kill bed bug nymphs. Permethrin dust can be used in the same way. Mississippi State University Extension suggests calling a pest professional to help with bed bug infestation of chicken coops. It might be necessary in extreme cases but minor infestations can be handled with the above directions. Bed bugs cannot be killed by common heat or cold as they can survive extreme temperatures for several days. Bed bugs can survive at least 5 days at only 14°F. Temperatures of 115°F are required for at least 7 minutes to kill them! There are pest services that remove bed bugs from your home by heating the home past these temperatures, however I do not believe they will do this for outbuildings. To prevent the spread of bed bugs to your house do not bring anything into the house from the coop and do not wear your clothes into the house after being in the chicken coop. Wash clothes in hot water and dry on high heat after wearing them in an infested coop. Hopefully we never have to deal with bed bugs in the chicken coop, but at least we're armed with the knowledge to handle them if we do! Need more information on chicken health care? Check out all my posts on getting rid of chicken parasites! You're welcome! I was shocked to find out that bed bugs in the chicken coop were a real possibility! Mites are super hard to get rid of. Glad you got it under control!